Do you have conference clients who are looking to enhance their time together by giving back? In response to an increasing number of planners asking about such "voluntourism" opportunities, the Convention Services team at the Greater Raleigh Convention and Visitors Bureau (GRCVB) partnered with Activate Good, a Raleigh, N.C.-based organization founded in 2005 to "close the gap between those who wanted to help out but didn&apos;t know how, and those causes that needed volunteer help from more people in the community." Through this partnership with Activate Good and other subsequent partnerships with individual organizations serving our community, GRCVB can assist you in finding potential, one-time volunteer activities appropriate for groups that not only help close those gaps but also introduce your conference attendees to unique aspects of our Raleigh, N.C., community. How does it work? If you need turnkey team building service project planning services for your upcoming conference, complete an application with Activate Good and tell them a little about your group—what your group&apos;s causes or interest areas are, how many volunteers you expect, what days they are available to volunteer etc. From there, they can either help you identify an off-site project/cause that suits your group&apos;s interests and scheduling requirements or, if timing is tight, Activate Good can customize a portable service project and bring it to your event space. Looking for something a little less structured? The Convention Services team can help point you in the right direction. There are several volunteer organizations where planners or conference attendees can check out upcoming events or browse participating organizations and volunteer as small groups or individuals. In addition to the Activate Good list, the Triangle Nonprofit & Volunteer Leadership Center also cultivates an easily-accessible online list through its initiative "Hands On Triangle." Browse those opportunities and volunteer! 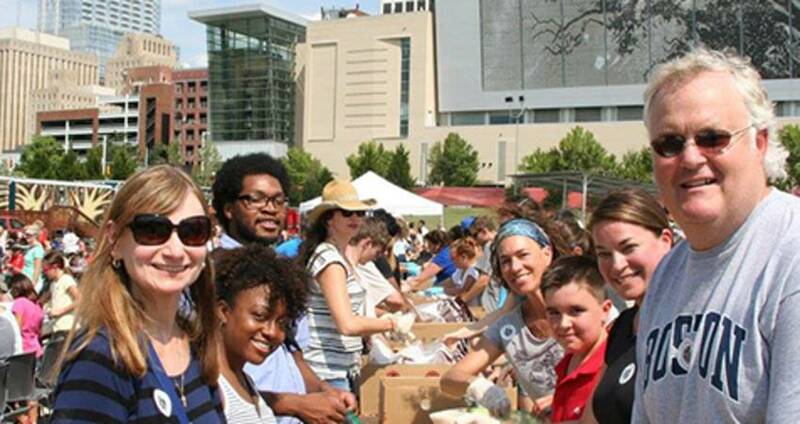 Check out more information about voluntourism in Raleigh, N.C., here; help a good cause, provide clients with team building opportunities and discover a different side of our destination.